Is your website ready for the winter holidays season? Have you decided on what kind of functionality it should be updated with? Maybe it’s time for a complete revamp and re-design of your current web resource? 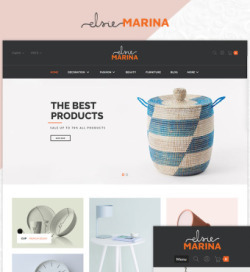 If you are about to apply major changes to the way your web page performs, then the following collection of top-trending digital products from templates.com will just come in handy to you. 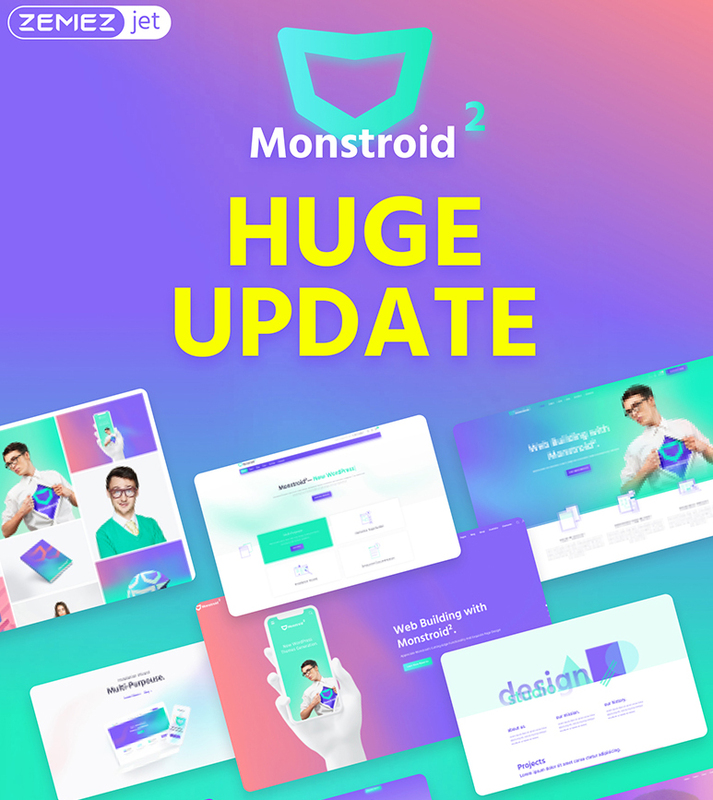 Monstroid2 is one of the most popular Elementor-based WordPress theme that’s apt for a range of purposes. The fully responsive layout of the theme is ready to be adjusted in the way that matches your business needs. The theme includes a number of additional plugins and premium extensions, which allow you to boost your site’s performance to a great degree. A clean and modern-looking layout of the theme is created with the major SEO standards in mind. The theme is fully responsive and cross-browser compatible. It’s fast-loading and includes advance theme configuration settings. 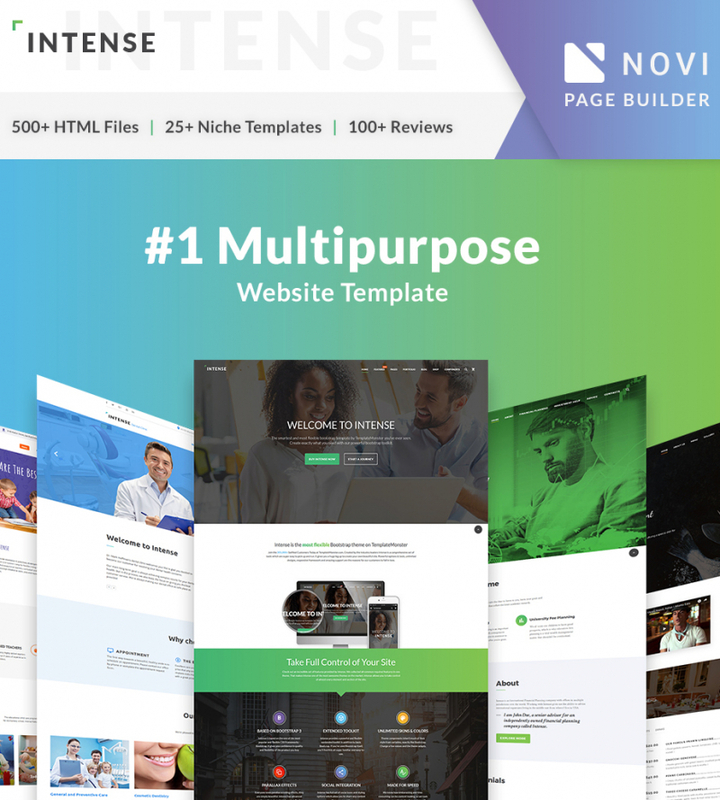 Intense is a ready-to-go website template that can become a foundation for all kinds of business projects. It looks clean and well-thought-out. The theme features a rich collection of niche skins that are ready to be adjusted as per your own needs. 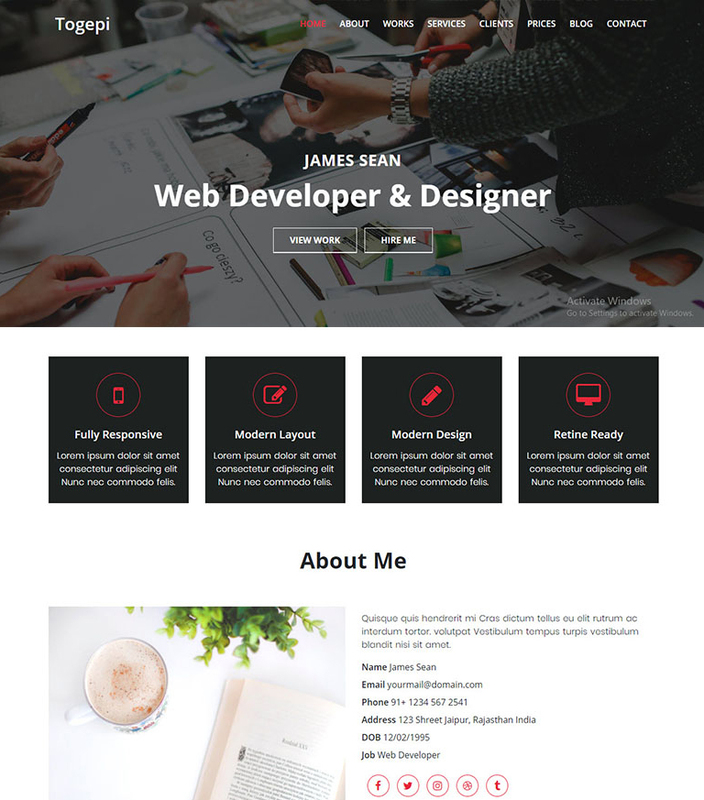 There are 30+ blog templates and 20+ portfolio templates available in the theme’s download pack. It’s eCommerce-ready, which lets you launch a fully-fledged web store out-of-the-box. 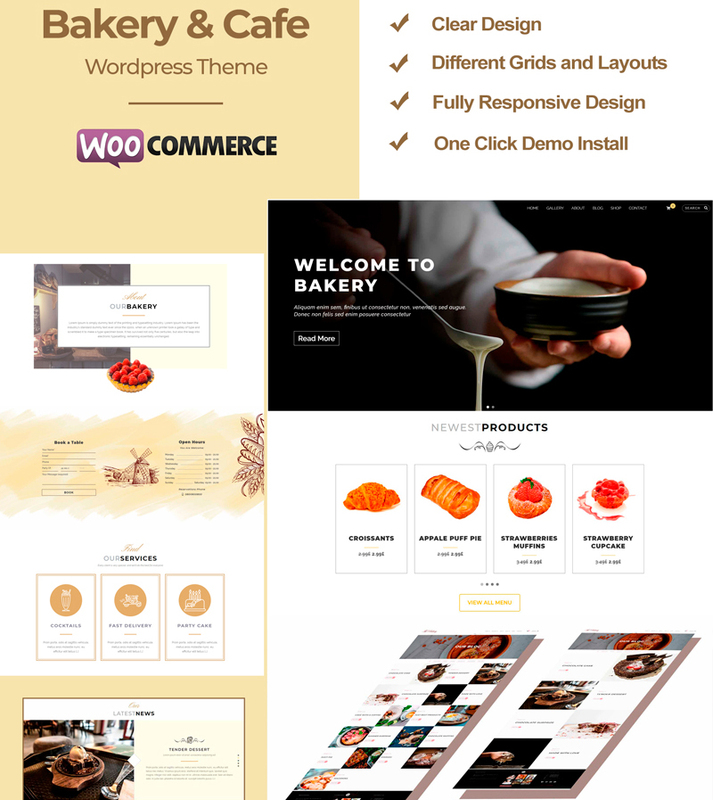 The WooCommerce theme is apt for bakery, cafe, and restaurant websites. It includes a bunch of customization options that allow you to adjust the ready-made layout as per your own needs. 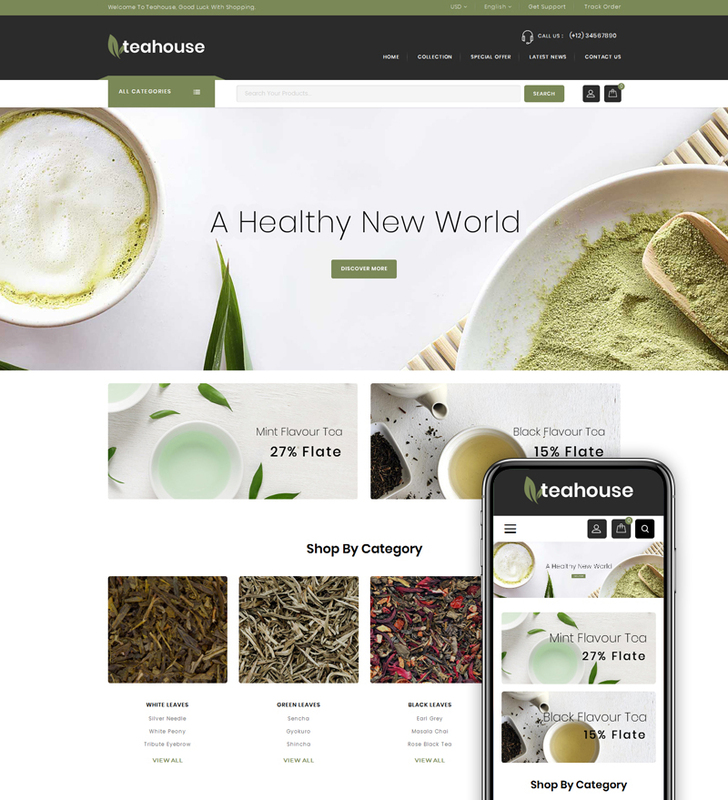 The fully responsive layout comes loaded with a series of grids and ready-made layouts. One-click demo install takes a few minutes to import the theme’s content to your site. 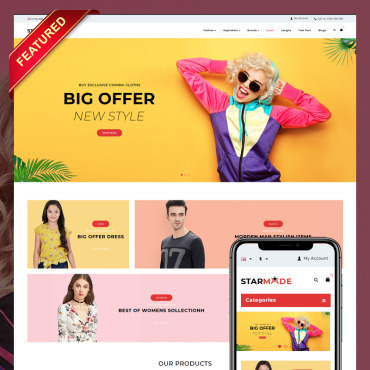 Woostroid is one of the top-selling WooCommerce themes that are ready to be used for a range of niche-specific online projects. It’s fully editable, responsive, and impressively dynamic. The theme includes a series of child skins that are ready to go live straight out-of-the-box. 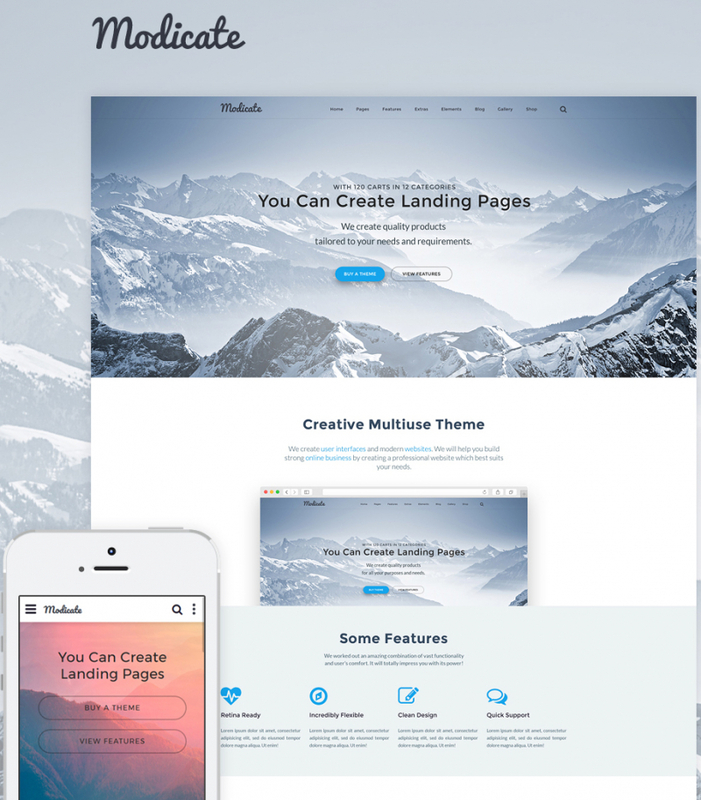 The theme is based on Elementor page builder. It allows you to modify the ready-made layout and all of the theme’s elements by means of a usable drag-and-drop dashboard. Fasteria is a ready-to-go responsive website template that is apt for a range of food-related web projects. It contains Novi builder, i.e. a visual content editor that lets you modify the theme’s layouts in the visual mode. A range of ready-made pages and blocks can be used to bring the unique look and feel to the theme. 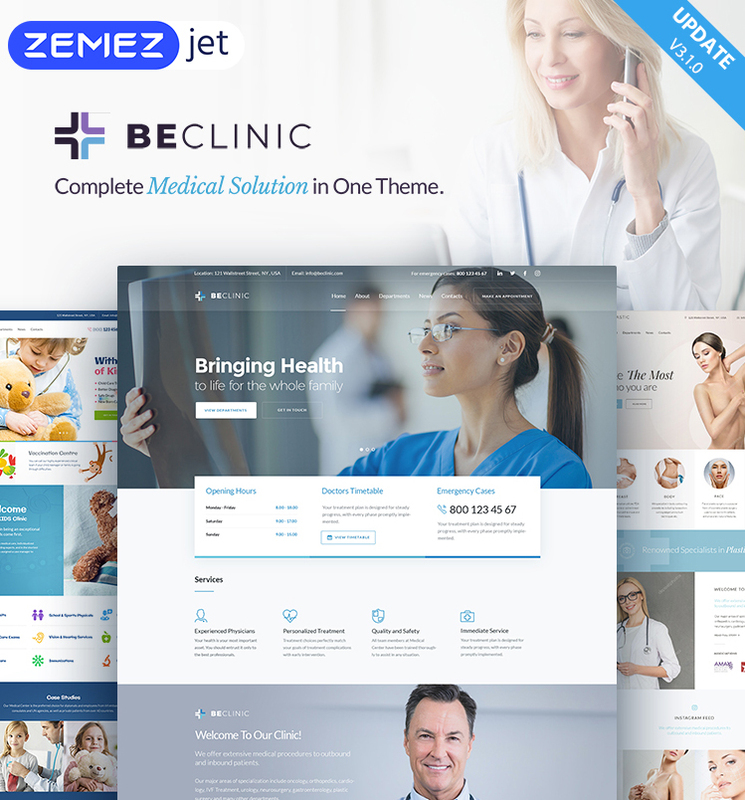 BeClinic is ready to become a solid and highly-functional foundation of a range of medical and healthcare projects. It comes loaded with the drag-and-drop Elementor page builder and an array of theme’s customization features. Downloading the theme you can also get a set of special bonuses worth $680 at no cost at all. 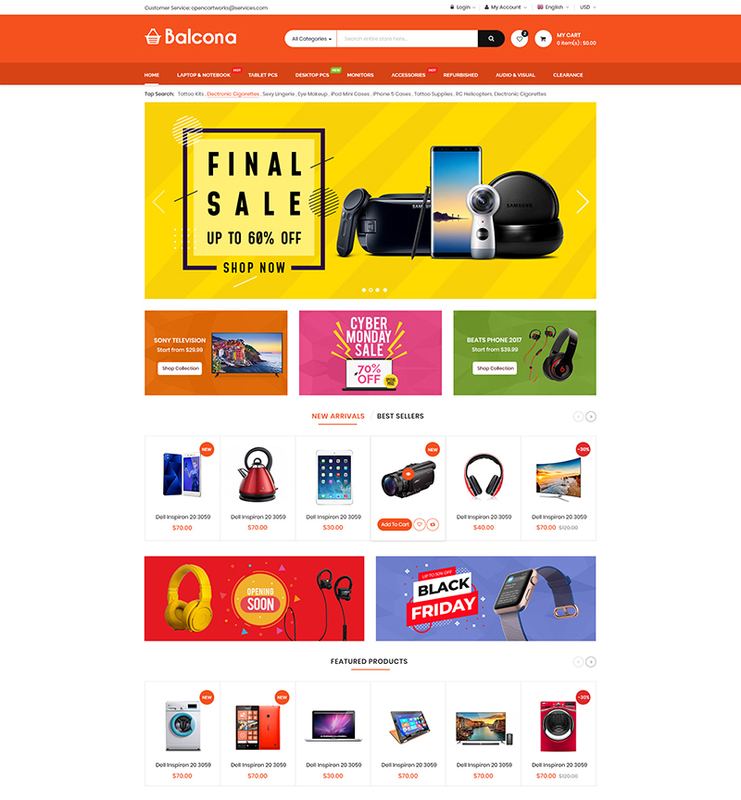 Balcona is a multi-purpose theme that’s apt for fashion, jewellery, electronics, art, decor, and other purposes. The fully responsive layout of the theme is ready to adjust to all screens automatically. You may feel free to modify the theme’s elements in the way that matches your personal or business needs. 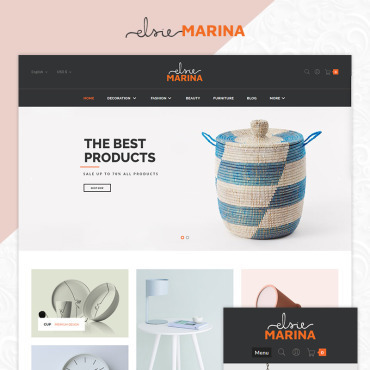 The theme includes such handy eCommerce options as advanced product filters, MegaMenu, smart search, manageable product categories, and more. 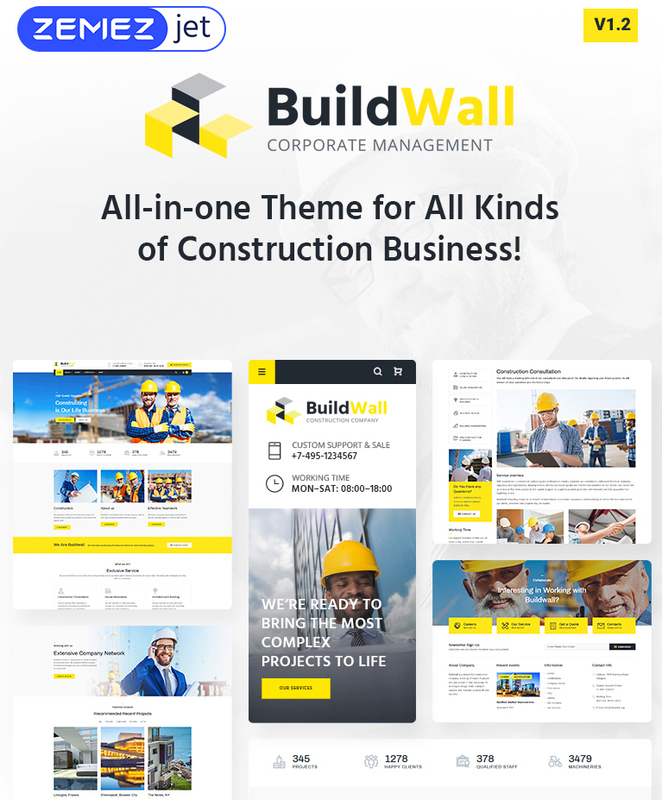 BuildWall is an all-in-one WordPress theme that contains a rich set of solutions for architecture and industrial purposes. A rich set of pre-made pages for all occasions save you lots of time and efforts on the creation of the respective elements of your site from scratch. The integrated Visual Composer provides for a quick modification of the layout in the drag-and-drop mode. Togepi is a fully responsive landing page template featuring a 100% responsive layout. A modern design of the theme is retina-ready, which makes it the ideal fit for photography and design portfolios. A well-balanced layout of the landing page makes it quick to scan. CTAs are used wisely. Also, the theme includes a working contact form that lets customers get in touch with you. Grand Vector is a ready-made HTML template containing a collection of ready-made demos apt for different micro-niches. The theme is fully responsive and fast-loading. A rich UI kit is included to let you deliver a personal touch to all pieces of data that are shared on your site’s pages. 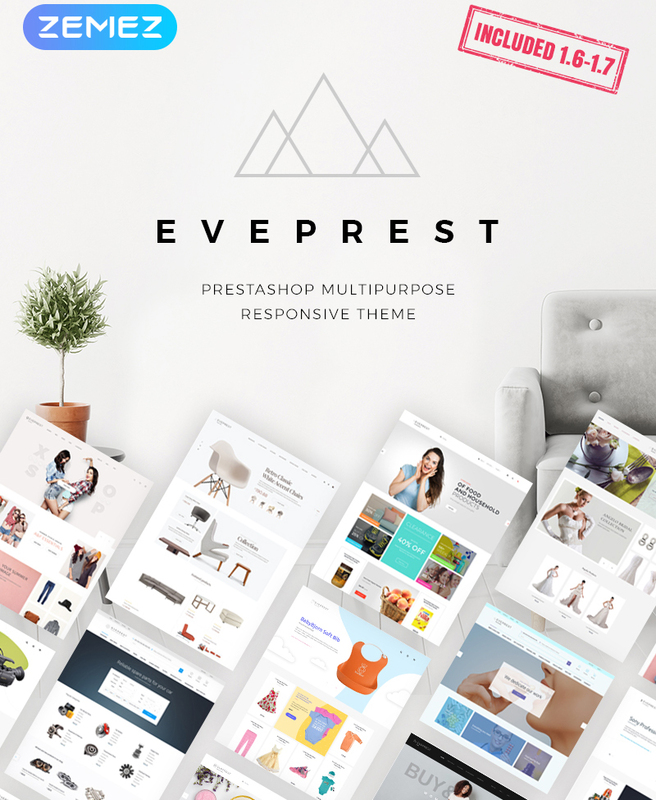 Eveprest is a ready-to-go solution that’s ready to be used for the launch of 10+ web stores covering a range of topics. This can be a furniture, fashion, accessories, cosmetics, tools or any other inductry-specific web project. 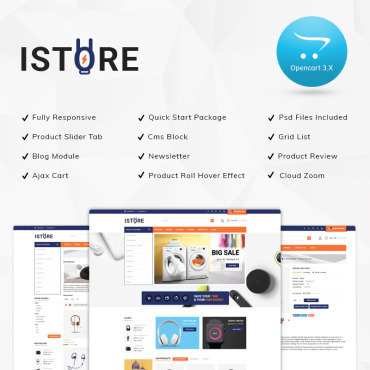 The theme contains lookbook functionality, which provides for a more remarkable demonstration of your site-products. 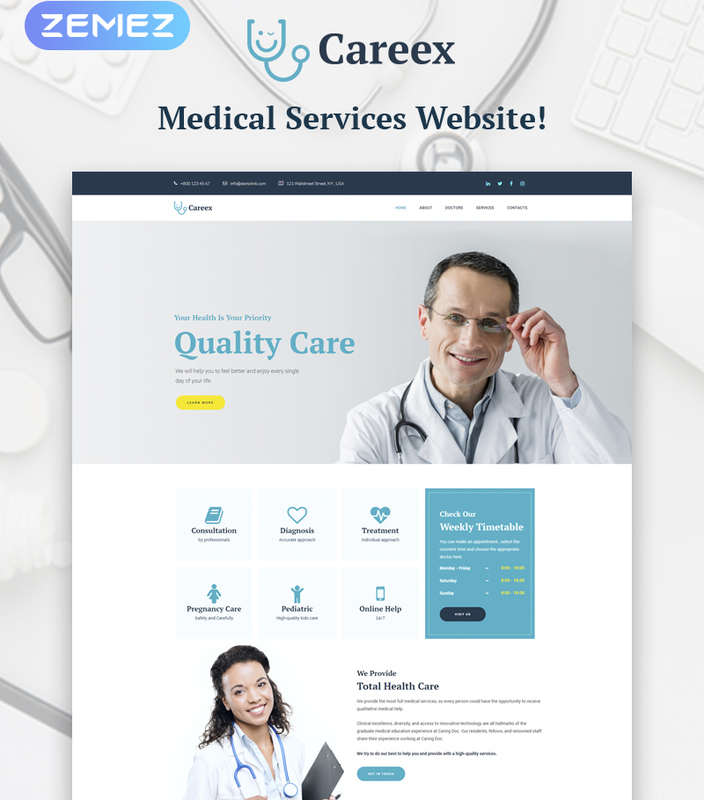 Careex is apt for launching medical and healthcare web projects. The theme is built using clean and minimalist style. It’s based on the fully responsive, cross-browser compatible, and speed-optimized framework. 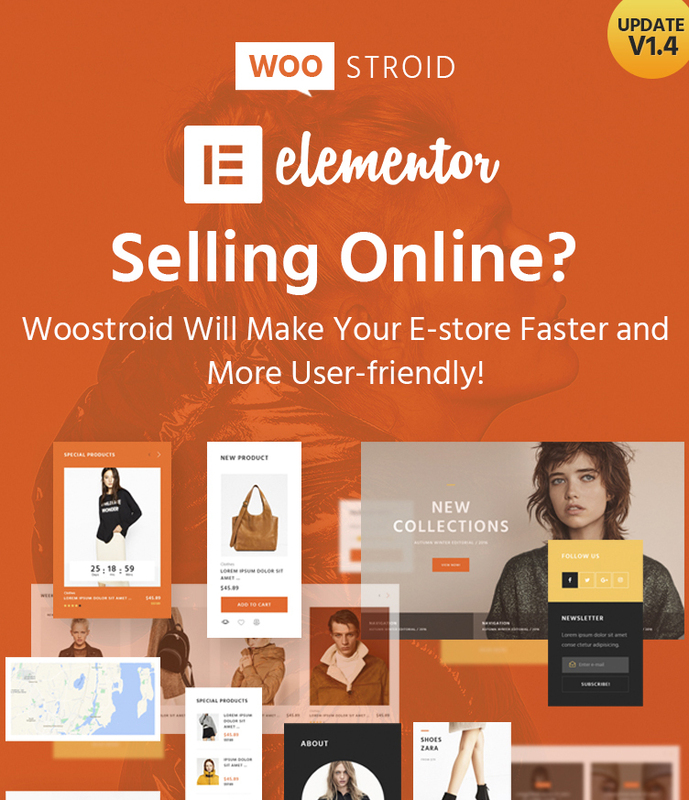 Elementor page builder delivers an effortless theme’s layout modification experience. 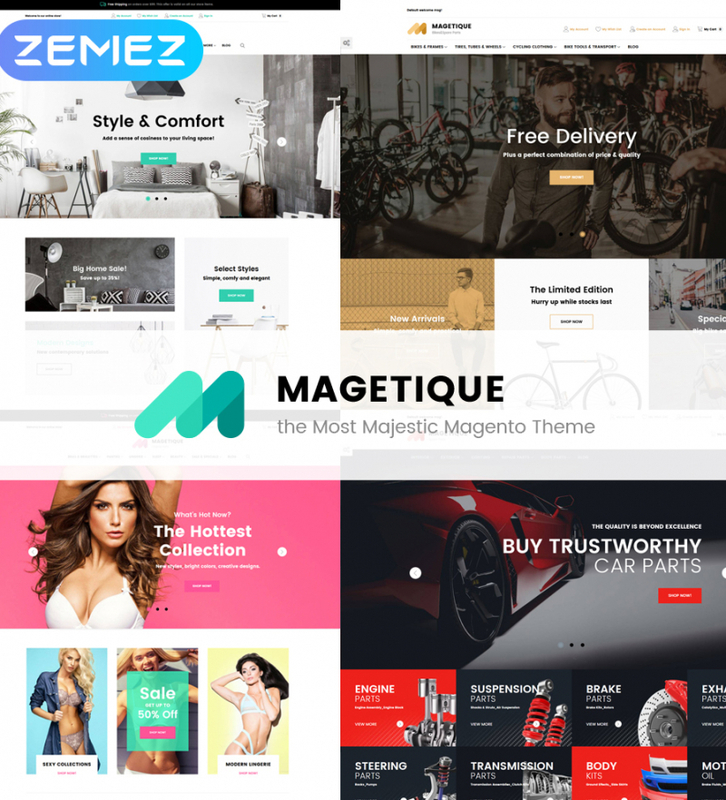 Magetique is an impressive example of usable and multi-purpose Magento themes that are ready to be used for 5 different topics out-of-the-box. 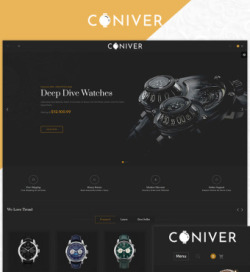 This is an ever-growing eCommerce theme that contains 5+ niche-specific demos and a rich collection of pre-made pages. 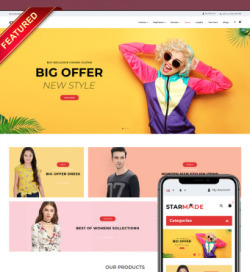 The theme is built with using AMP technology, which guarantees that the mobile users can enjoy seamless online shopping experience. 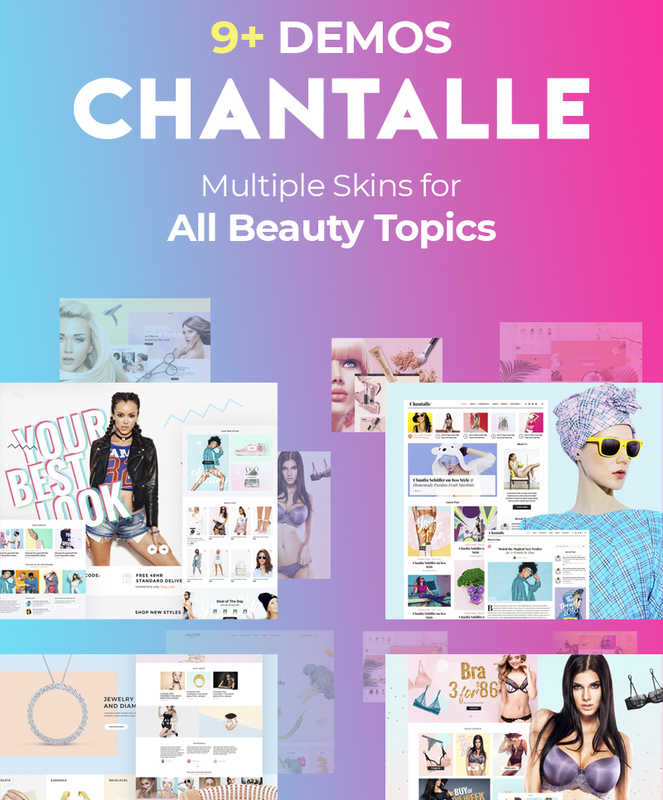 Chantalle is a responsive WordPress theme that contains everything needed for the launch of usable fashion sites. The availability of Elementor page builder makes the theme appealing even to the users with little to no coding skills. An intuitive drag-and-drop dashboard comes loaded with all the essential widgets and modules that can deliver an enhanced online presentation of your content. 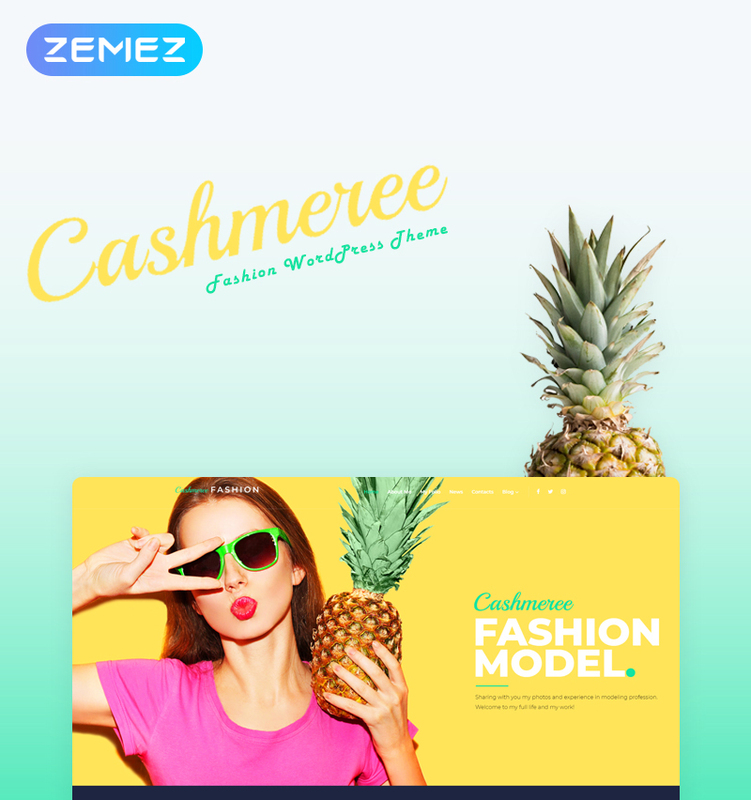 The theme is the ideal match for the launch of usable and eye-catching fashion web stores. It contains a usable homepage layout builder that allows you to achieve the perfect organization of your site’s layout in just a couple of clicks. 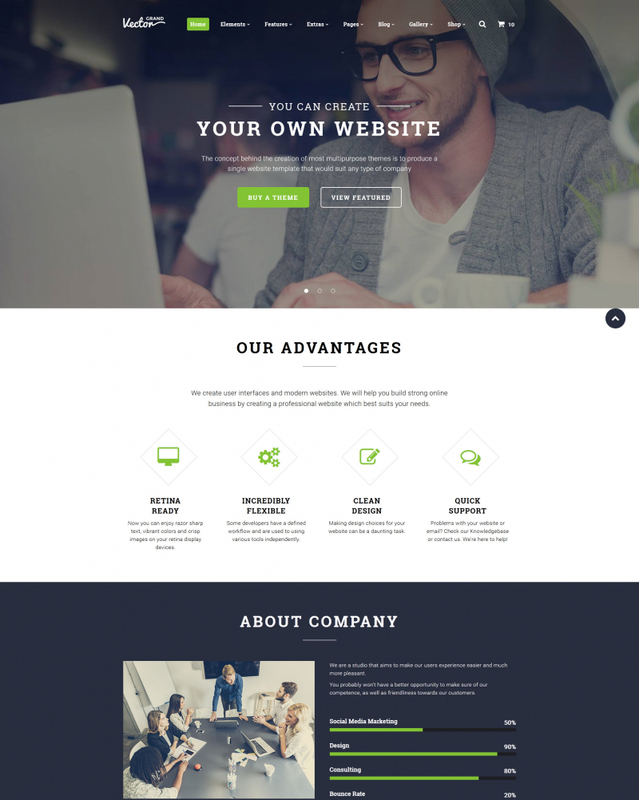 Modicate website template is ready to be used for any sort of small to large-sized business project. It’s well-coded and designed as per the contemporary web practices. The theme boasts an impressive collection of 50+ ready-to-go HTML pages. It’s responsive and cross-browsers compatible. 6 blog layouts are include to let you select the optimal presentation of your content in front of the web community. 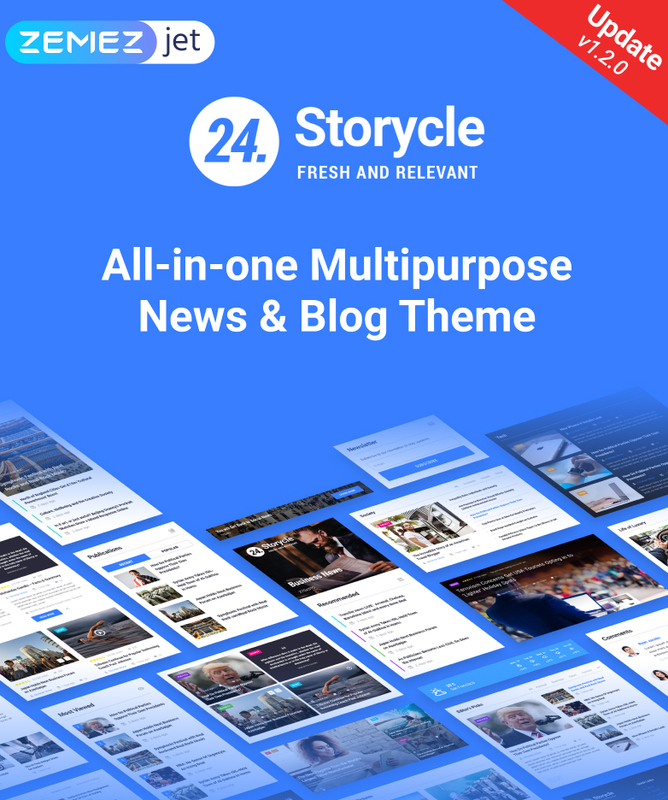 The theme is built to be used for the launch of blogs and news portals covering a range of topics. 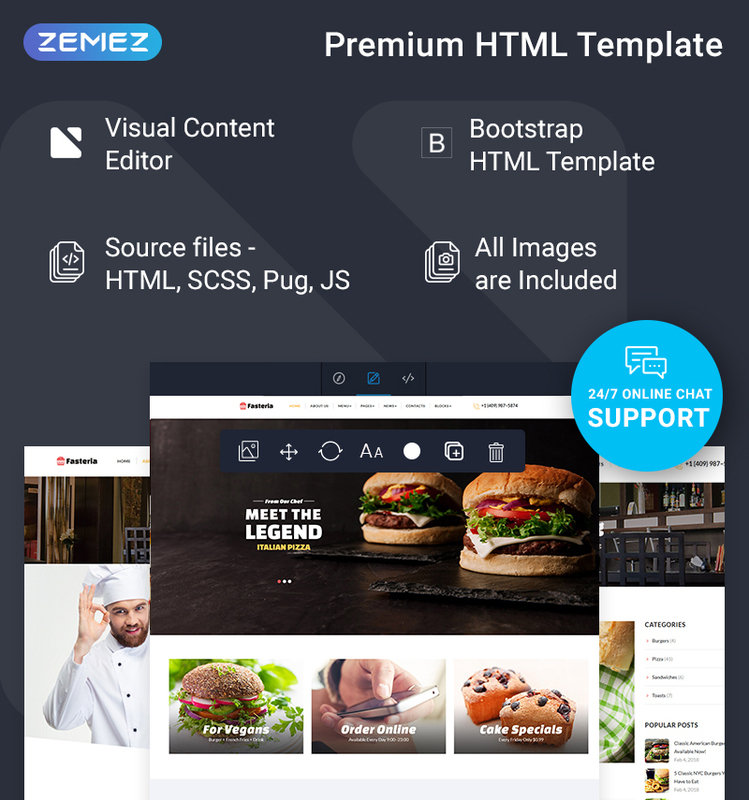 The theme contains a series of ready-made pages that intended to be modified with the help of Elementor drag-and-drop builder. The header and footer areas of the theme are ready to be adjusted using JetBlocks Header and Footer Builder. 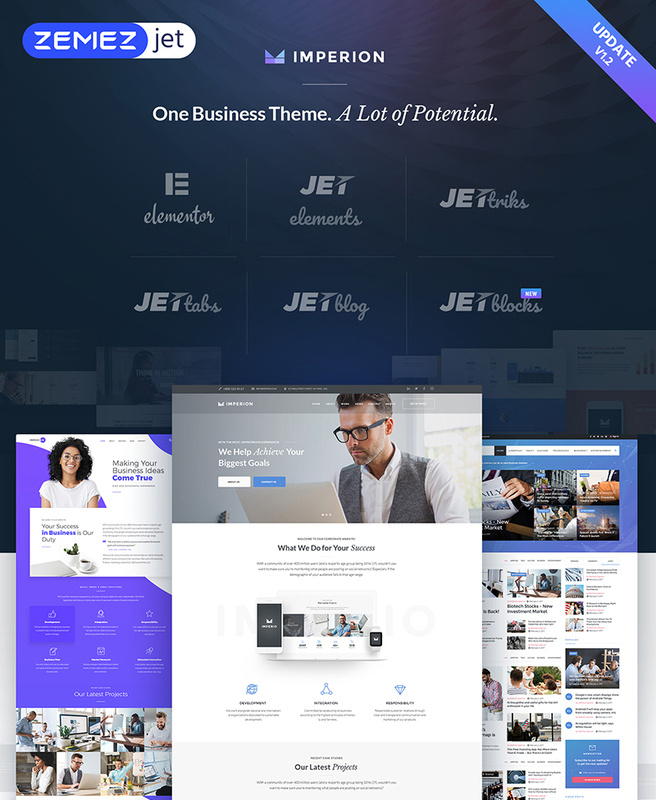 Downloading the theme you get a collection of usable Jet plugins that can help you manage MegaMenu, post slider layouts, and other elements of your web page. 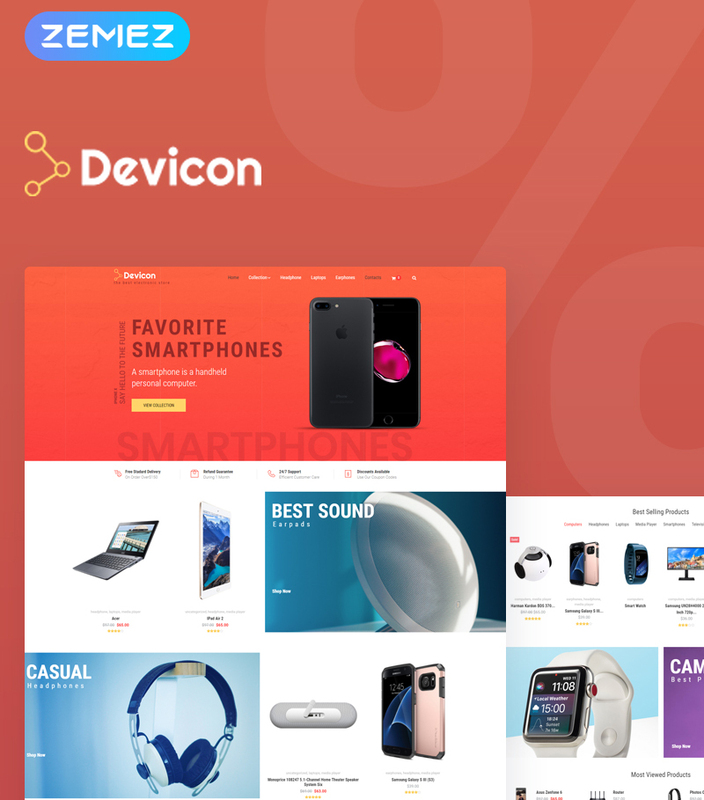 The theme features a clean and concise layout, with the clearly defined accents, which make it the perfect fit for launching electronics and mobile stores. 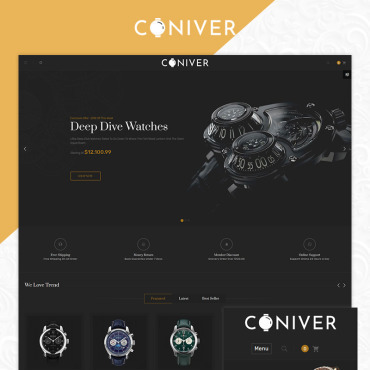 The theme’s layout is built to convert. 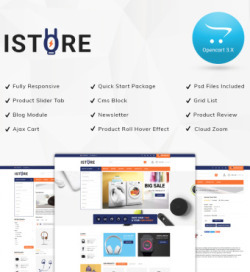 It’s loaded with all eCommerce essentials that let you build functional and usable web stores. Editing the theme’s layout is made really quick and easy with Elementor page builder. Imperion is a multi-purpose WordPress theme based on Elementor page builder. It is mobile-friend;y and fully editable. The availability of a collection of premium plugin enhances and streamlines the te process of the theme’s customization to a great degree. As a cool bonus to the theme, all images that are available on the demo are attached to the download folder. The theme is apt for transportation and logistics businesses. 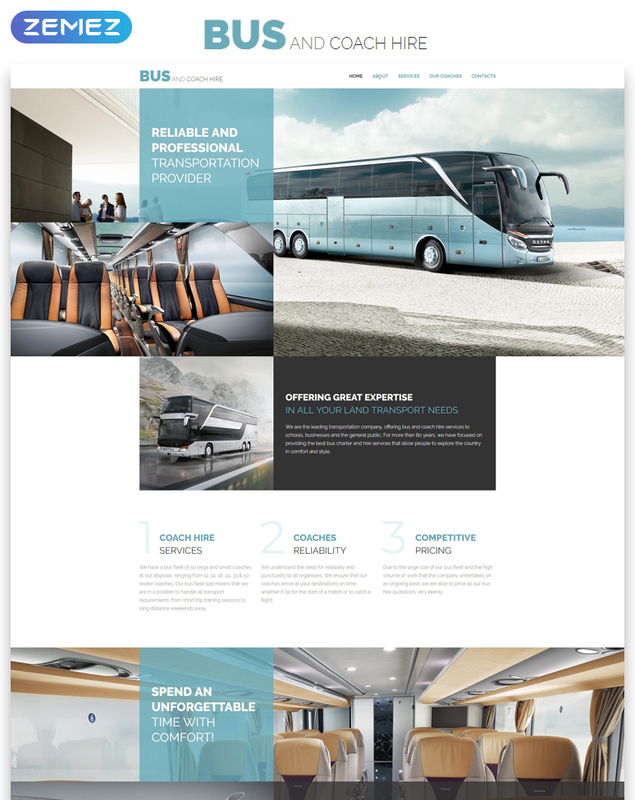 The clean and well-balanced layout of the theme can add a professional and reliable presentation to your venture. The theme’s layout is built as per the latest web design trends in mind. The theme is optimized to handle image-rich web projects perfectly well. 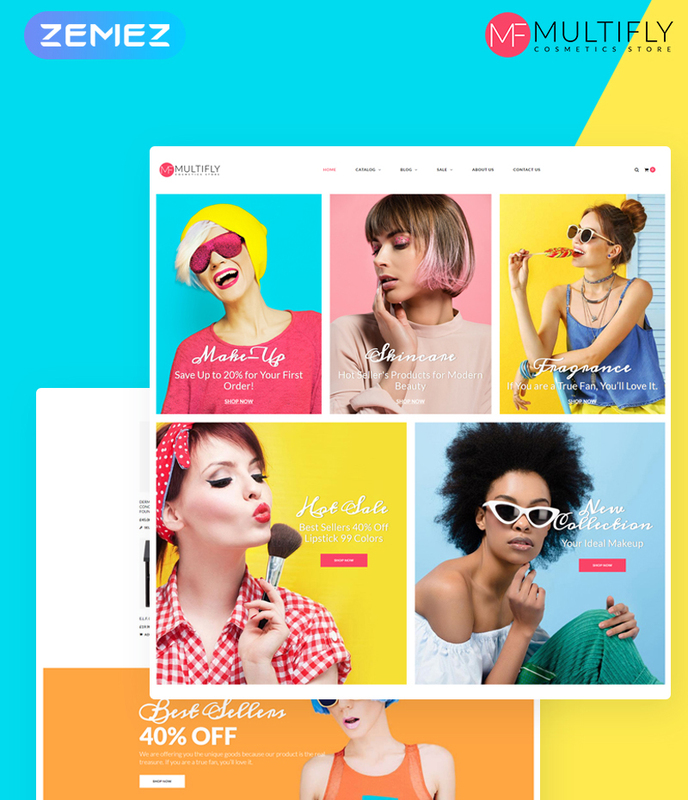 The given WooCommerce theme features an impressively catching and bold design that can make your cosmetics shop stand out from the competition. It’s based on Elementor page builder, which allows you to tweak all of the theme’s layout elements in the drag-and-drop dashboard. All the necessary modules and content widgets are already added to the theme. Owing to the mobile-first paradigm, there is no need to worry about the performance of your web store on smaller screens. 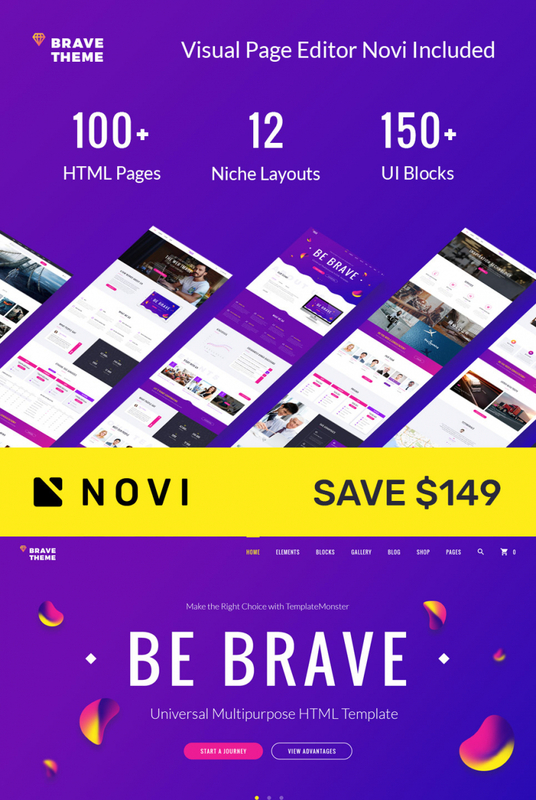 Brave is a Bootstrap-based website template coming loaded with more than 100 pre-designed HTML pages that are suite to be applied for a range of purposes. The theme is based on Novi Builder, which allows you to adjust all elements of its layout in the visual mode easily. The theme is build with the valid code and latest SEO practices in mind. The fully responsive layout of the theme is well-suited to be used for a quick start of fashion and beauty blogs. The fully editable layout structure is ready to be adjusted to match a range of purposes. The clean layout of the theme keeps uses’ attention focused on your content and visual presentation of highlights from catwalks.